The most classic and popular origami work is crane. Every Japanese person has made it at least one time. 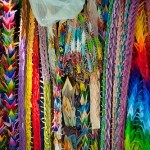 In Japan, crane is a symbol of longevity as well as tortoise; therefore, people make a thousand of origami cranes to wish for someone’s health. The set of thousand cranes threaded together is called “senba-zuru”. It’s a special “get well” gift with a lot of wishes and prayers. 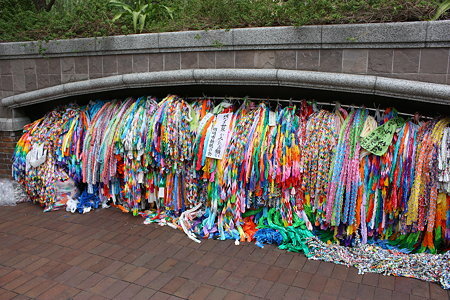 Senba-zuru also has become a symbol of peace after the story of Sadako Sasaki who was a victim of the atomic bomb, and when she was hospitalized she and her friends made thousand cranes for her recovery. You can also refer to this site.